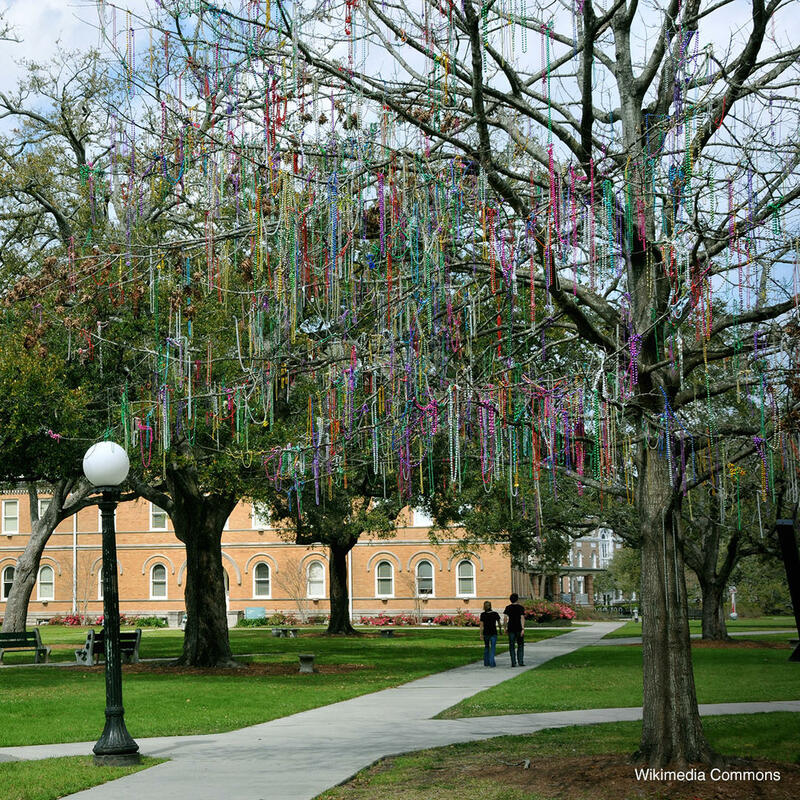 The Mardi Gras throw, a string of small spherical baubles, is a mainstay of this celebration. Cheaply made and cheaply sold these trinkets are worn and discarded in great quantities on Fat Tuesday. Some, instead of throwing the necklaces away in a trash bin, throw them up into the branches of this oak tree for good luck. The tree is located on Gibson Quad at Tulane University, easily found with its glittery costume accoutrements should you wish to add to its shiny plastic splendor.